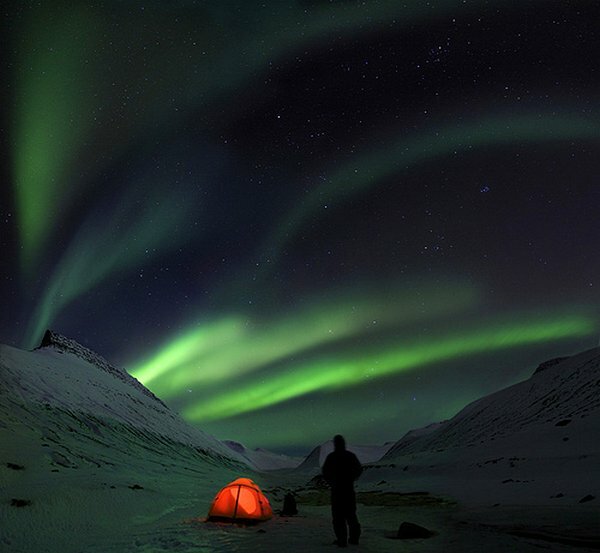 illuminated tent under the Northern Lights in a snowy valley of Iceland. but not to worry, there's no camping on this trip! Photo © copyright by Johnathan Ampersand Esper.